Bringing Joy through Good Work | Victory - Honor God. Make Disciples. By God’s grace, we have the privilege of working for the good of many communities. The Christmas season is a time to express this grace and demonstrate the love of Jesus to people from all walks of life. For the past four years, we have had the pleasure of adding joy to the Christmas celebrations of families in need with Noche Buena packages. 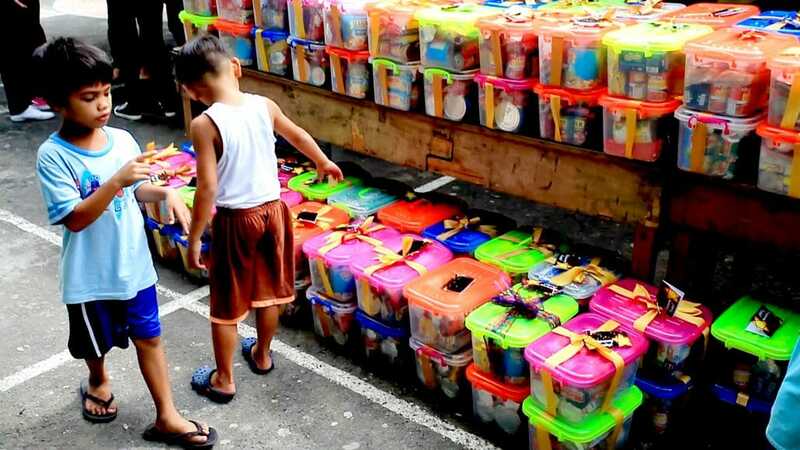 Last year, around 650 Noche Buena packages were given out. 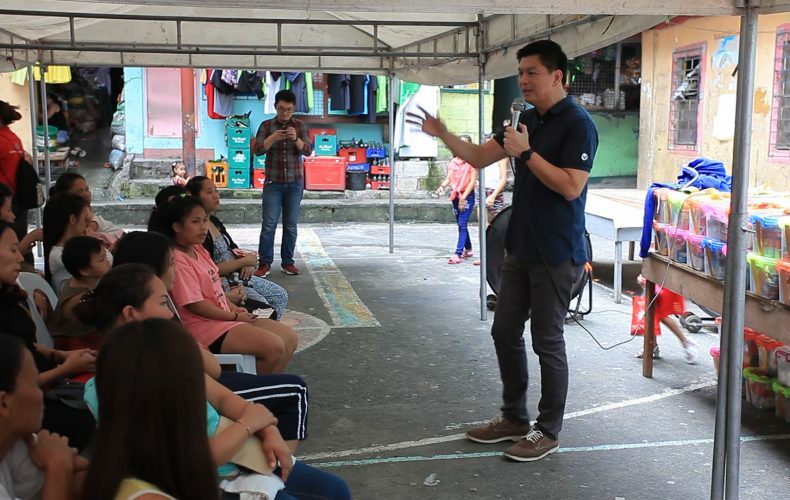 This year, we partnered with the local government of Taguig to reach out to a wider group of people. Through the generosity of leaders and volunteers from our church, we were able to give out around 5,000 packages and share joy at schools like Ninoy Aquino Benigno High School. 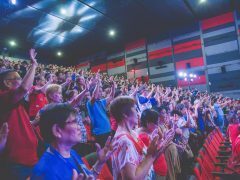 We also blessed and thanked public servants from the Bureau of Fire Protection, Bonifacio Global City traffic enforcers, and Taguig City police, as well as pastors from different churches across the Body of Christ in Taguig. 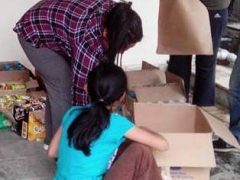 Each package, filled with all kinds of food for Noche Buena, brought a smile to the members of these communities. Yesterday, we distributed 80 packages to the community in Barangay Fort Bonifacio that was affected by a fire a few weeks ago, with many residents displaced into surrounding areas as a result. Some of them are still recovering from the tragedy that hit them. Hearing people like Grace, one of those who received a Noche Buena package, say “Malaking tulong po ito sa amin,” reminds us of the impact of an act of kindness. Grace had lost her home in the fire; she had to move temporarily to a house nearby with her family. 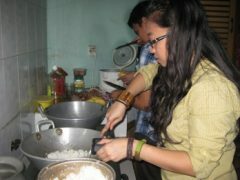 Now, she looks forward to a joyful Christmas celebration with food on the table. 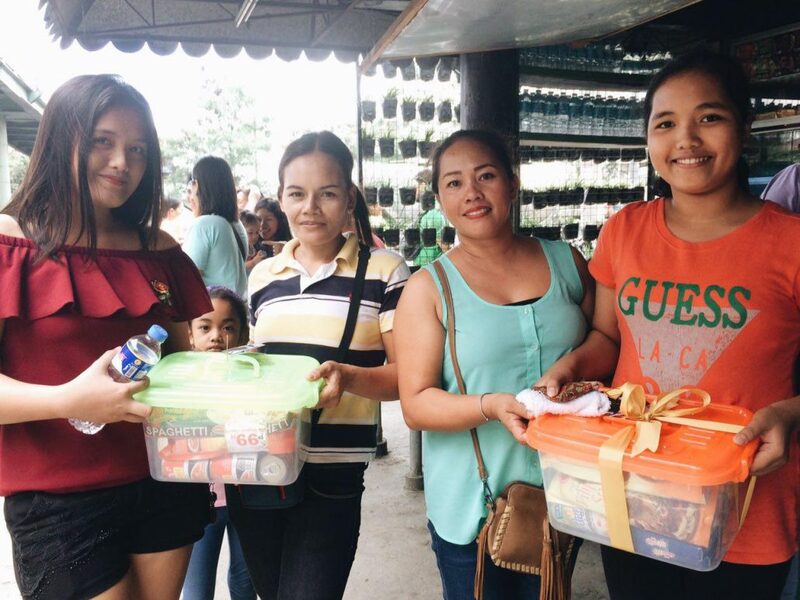 Grace (second from left) receives a Noche Buena package with other residents of Barangay Fort Bonifacio. There are many more communities to reach and many more people to touch, but we can start with the communities in our backyards. Let us continue to demonstrate the hope we have in Christ and His love, which is for people from all kinds of backgrounds. If you would like to join us in helping more communities this Christmas season, feel free to ask the pastors and staff in our church locations this weekend.